Does your job involve a lot of writing? So, you must be looking for the laptop that can help you in your job. While many laptops are available in the market, you might be confused that what will be the best fit for your writing job. The best laptop for writing should have some features such as a backlit keyboard, wide keyboard etc. for comfortable and easy typing. 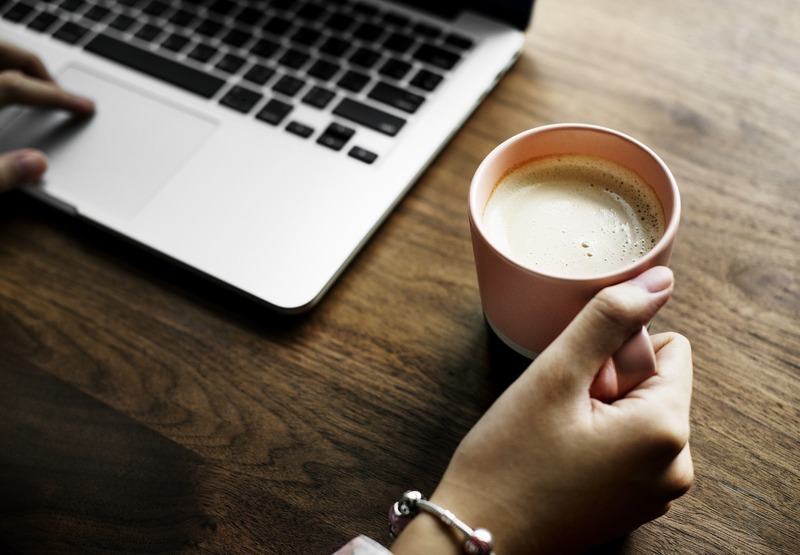 So, here is a list of the best laptop for writers that are helpful for all kind of writing jobs such as novels, notes, business proposal, books etc. 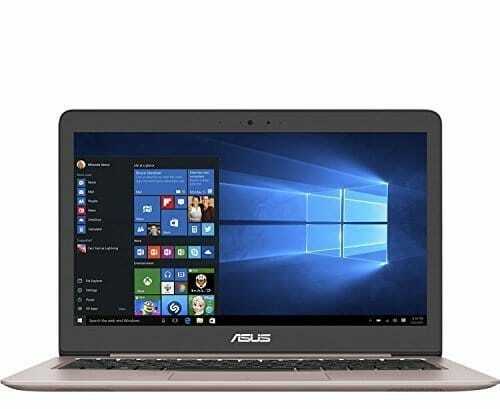 It is an entry-level 15.6 inches notebook, with a resolution of 1920 x 1080 pixels, powered by the 7th gen Intel Core processor, i5-7200U clocking at a speed of 2.5 GHz. The Ram is 8 GB DDR4 onboard and the storage is 1 TB 5400 RPM HD. The graphics card is the discrete NVIDIA GeForce 940MX, 4 GB. It operates on Windows 10 and includes an optical drive. The combo of RAM and GPU results in an above average performance, though not exceptional. The product dimensions are 10.2 x 14.9 x 0.9 inches and the weight is 5 pounds. The screen resolution is 1366 x 768 pixels. This device is available in a platinum grey color coming with a protective finish and rubber detailing at the bottom to offer enhanced life to the device. In short, overall performance is good and it is suitable for regular work, with a decent battery and keyboard. Build quality is average. It also features Dolby speakers that are optimized for audio and delivers clear audio without any distortion. Budget buyers who don’t mind a big, bulky laptop. Ideal for writers, as you can easily read text on the display clearly when looking straight at the screen, though all viewing angles are not good. Audio clarity is excellent and the resolution is good. So it is suitable for watching movies and videos. Suitable for those who want to multitask and run several programs at the same time. It is pleasing to look at and can also be flipped 360 degrees to convert into a tablet. It offers a good grip, but mostly in plastic. The screen is 11.6 inches and comes with a display resolution of 1366 x 768 pixels. The keyboard is slightly recessed with textured chiclet keys. Below that is a wide trackpad with enough space for a palm rest. 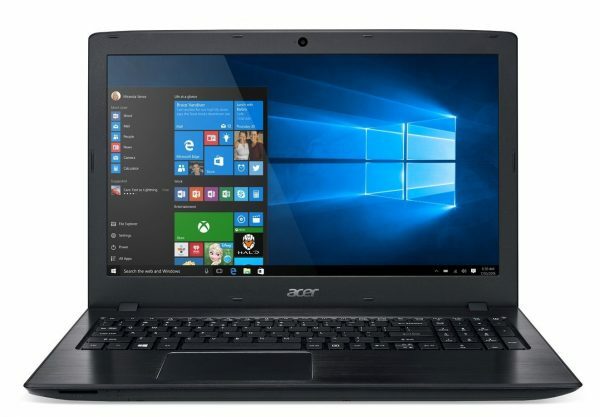 The dimensions of the Acer laptop are 8 x 11.6 x 0.8 inches and the weight is 2.76 pounds. 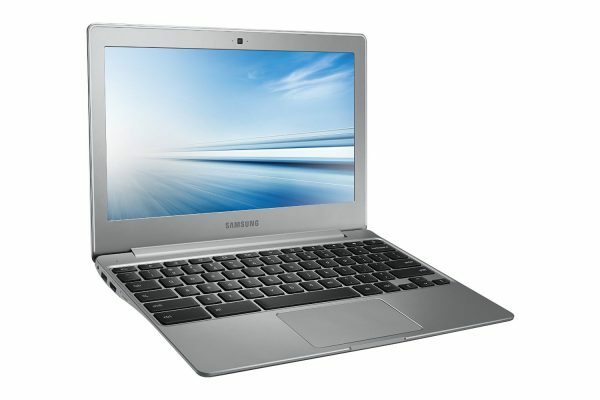 It is powered by the Intel Celeron processor clocking at a speed of 1.6 GHz. This is combined with a RAM of 4 GB DDR3 SDRAM and a hard drive of 32 GB SSD. The graphics card is an integrated one using the Intel HD Graphics. It has one USB 3.0 port. 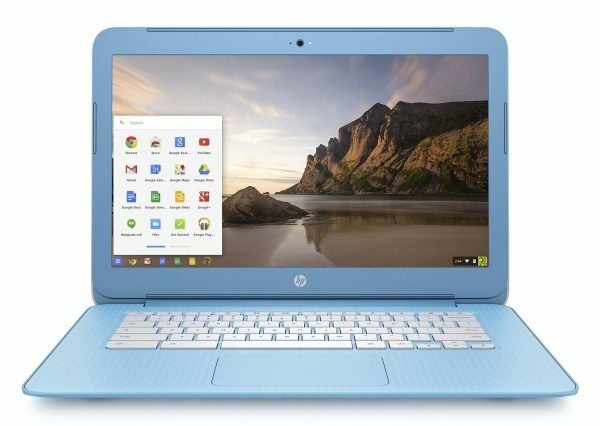 You can also avail 100 GB of storage space free on Google Drive when you purchase this Chromebook. Those who are looking for a handy, budget laptop offering decent performance. Suitable for writers, students and others who mainly use Google Doc. Those looking for a fluid performance while typing out in Google Docs and multitasking. 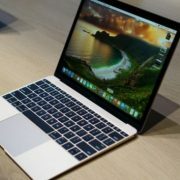 It is an Apple laptop with a screen size of 13.3 inches diagonally and a LED backlit screen with a resolution of 1440 x 900 pixels, a pixel density of 128 ppi. The MacBook Air is powered by the dual-core Intel core i5 clocking at a speed of 1.8 GHz. The RAM is 8 GB with 128 GB SSD. It runs on the Mac OS offering fast start-ups. The MacBook Air also comes with the Turbo Boost feature to enhance processing speeds to a maximum of 2.9 GHz. This will help in overclocking the core and make it faster. It has 8 GB 1600 MHz LPDDR3 memory onboard. The RAM is high enough for playing games, video editing and photo editing as well as multitasking. The graphics card is 1536 MB Intel HD graphics 6000. The dimensions are 16.8 x 13.3 x 1 inch and the weight of the MacBook Air is 6.45 pounds. The battery life is excellent and it offers the smooth performance of everyday tasks. It is also still a king as far as battery life is concerned, running for more than 10 hours. 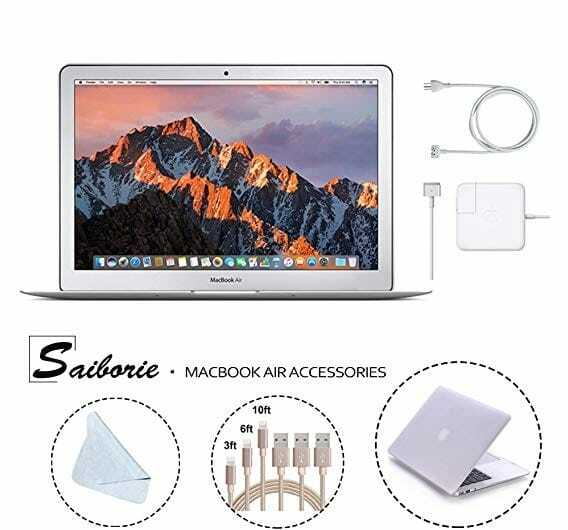 Those who are looking for an affordable, entry-level and lightweight Apple notebook. It is the cheapest Mac that you can buy. Suitable for use in coffee shops, offices, libraries and by students and writers all over the world. Suitable for browsing and streaming as well as office needs and social media browsing. Not suitable for those looking for fast speeds. This 14-inch laptop is powered by the Intel Core i7 7500U processor clocking at a speed of 2.7 GHz. It runs on the 7th generation of Kaby Lake Intel processor. The display screen is IPS technology with FHD and a resolution of 1920 x 1080 pixels. The processor is combined with the Nvidia Geforce 940MX, 2 GB of Dedicated graphics. The RAM is 8 GB and the memory speed is 2133 MHz DDR4 with a maximum of 32 GB and it has an HDD of 500 GB 7200 RPM. It is supported by the Windows 10 Professional 64 bit operating system. The laptop has dimensions of 9.5 x 13.3 x 0.9 inches and it weighs 12.3 ounces. 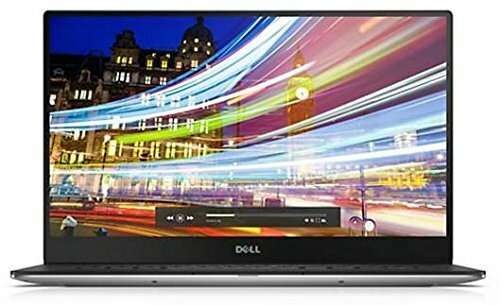 Those looking for an entry-level laptop offering good performance and battery life at a reasonable price. The keyboard is big enough and offers good feedback, making it suitable for those who do a lot of typing. It has a display of 15.6 inches Full HD with WLED backlit, with a screen resolution of 1920 x 1080 pixels, making it suitable for daily needs. It is powered by the dual-core Intel Core TM i5 6200U and clocks at a speed of 2.3 GHz, with turbo boost to enhance it to 2.8 GHz. This is combined with integrated, Intel HD 520 GPU. The laptop comes with 8 GB of memory in one DIMM, which is expandable to 16 GB and 1 TB hard drive that rotates at 5400 RPM. The memory speed is 1600 MHz. It runs on the Windows 10 software. The dimensions are 0.95 x 15.12 x 10.02 inches and it weighs 4.65 pounds. As for connectivity, there is one USB 3.0 port; 2 USB 2.0 ports; one HDMI port; one headphone jack; one Ethernet port. In addition, there is an SD card slot, though there is no VGA port. 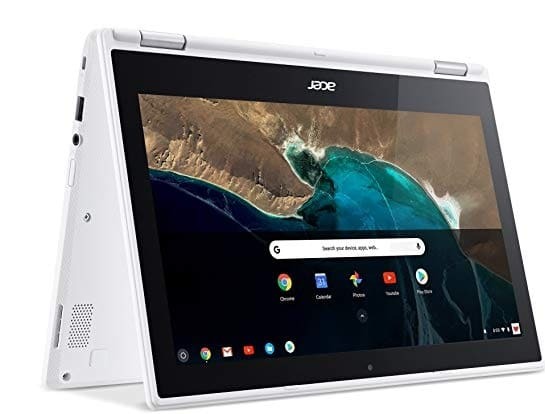 It offers middle of the road specs and performance and cannot run demanding games, nor does it have specialities like a backlit keyboard or a touchscreen. Writers and students who do a lot of typing and for completing office or school projects efficiently and smoothly. Suitable for viewing HD videos at 1080 pixels on a large screen. Not suitable for gaming or graphics oriented tasks, as there is no dedicated graphics card. Useful for those who want to multitask with several tabs open at the same time. Office or home users looking for a modest laptop on a budget offering a decent performance. This is a 13.3 inches laptop with a resolution of 1920 x 1080 pixels. 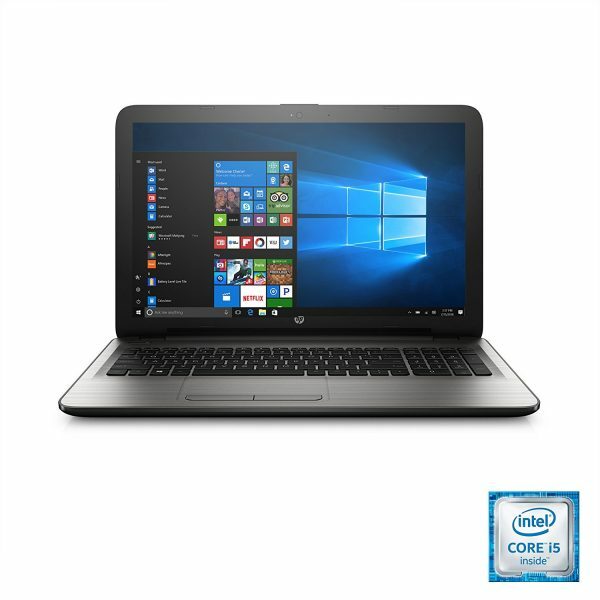 It is powered by the i7 6500U dual-core processor clocking at a speed of 2.5 GHz that can be boosted up to 3.1 GHz combined with a RAM of 8 GB and 256 GB SSD; 500 GB secondary of the hard drive. It has an integrated Intel HD 520 GPU and it is strong enough for old games but not for modern games. Being a laptop with good build quality, very little screen wobble and body flex; an excellent and responsive full-size chiclet-style type of keyboard, it is comfortable for typing and is fully backlit and can be used by writers even in the dark. The dimensions are 12.7 x 8.8 x 0.7 inches and it weighs 3.2 pounds. As far as ports are concerned, the Zenbook UX310UA has 3 USB ports with one USB 3.0 and 2 USB 2.0 ports. It also has a reversible USB 3.1 type C port for future proofing. In addition, there is a HDMI port; a headphone/microphone port; card reader slot and a DC power. Battery life is average at about 4 to 6 hours of playback. Speakers are apt for YouTube videos but do not have much bass. It has very few weaknesses and can be considered one of the best in the budget, ultraportable laptops. It looks great and performs well. In short, it gives you a pricey look, with a stylish machine and combines this with the features befitting a workhorse. Those who are looking for a stylish laptop without breaking the bank. 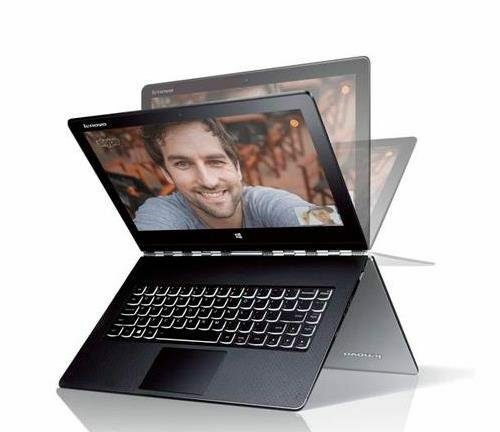 Those looking for a conventional clamshell laptop, without 360-degree hinge or touchscreen. Those on the move, as they are lightweight. Good for office work; web browsing; video streaming; video editing; light gaming. Those who want to play less demanding games like Minecraft. The dimensions of the HP Spectre X360 2 in 1 are 14 x 9.88 x 0.7 inches and the weight is 12.3 ounces. As for the ports, there is 1 Thunderbolt 3; 1 USB 3.1 type C port; 1 USB 3.1 and one HDMI port. In addition, there is a combined port for headphone and microphone. It comes with an active stylus called the Tilt Pen, which is rechargeable. The touchpad is responsive. The battery life is the best part. It lasts for hours, using several power saving tweaks. Those who want to create and show presentations, as it can be flipped from its clamshell orientation to a tent style for presentations. Suitable for writers with a great keyboard for touch typing and the Tilt Pen which feels as natural as pen on paper. Also suitable for gaming, with the GeForce Now. Top choice for travelers with its excellent battery life and flexibility. This sturdy laptop comes with a display of 10.1 inches of Touchscreen and a screen resolution of 1280×800 IPS display and a 360 degrees hinge. The IPS technology offers effective wide viewing angles as well. It is powered by the A33 ARM Cortex A7 Quad Core processor clocking at a speed of 1.6 GHz with 4 GB or RAM and 16 GB SSD. As for ports, there is one microphone and headphone jack; 2 Type C USB 3.0 ports; display and power port; 1 USB 2.0 port; 1 microSD card slot. The dimensions are 10.4 x 7.2 x 0.6 inches and it weighs 2 pounds. The trackpad is small but responsive. Audio is decent and there is an HD webcam for video chatting. It comes with a touchscreen with Asus, using its exclusive technology for touch sensors to improve accuracy. The battery life is good for 9 hours. 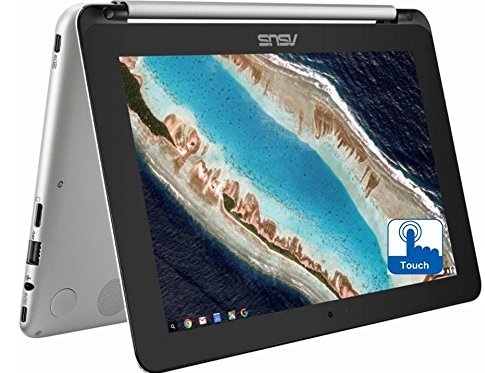 It runs on Google Chrome OS and is suitable for lightweight tasks. 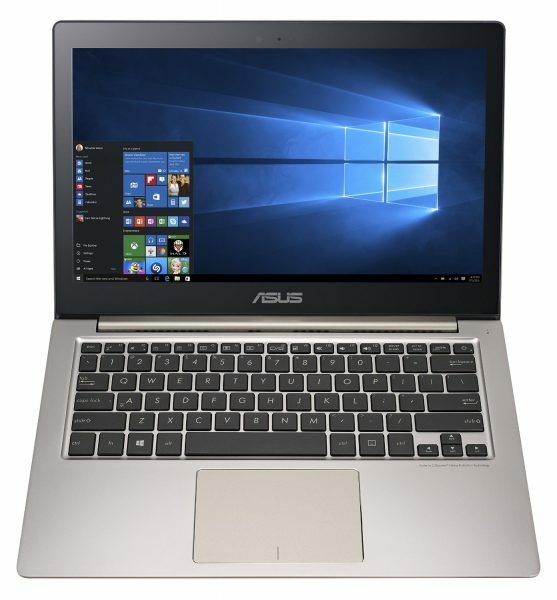 Those looking for a budget laptop that is flexible and can be used in different positions. Solid device for a light user. Useful for writers, as typing on the keyboard is a very satisfactory experience. Keys stretch to the edges, so it is suitable even for those with large hands. Perfectly suitable for low-intensity tasks, such as browsing, social media and so on. The Chrome OS is suitable for text documents or taking notes. It is light, small and slim and comes with a 2K screen. The display screen is 14 inches FHD with a LED screen resolution of 1920 x 1080 pixels with the island-like keyboard. The dimensions are 13 x 8.9 x 0.7 inches and it weighs 2.9 pounds. Though it is compact it comes with all the necessary ports. On the left is the power jack; one USB 3.0 port; one headphone jack; one SD card slot. At the right is one Thunderbolt 3 port; one smart card reader; 2 USB 3.0 ports; one HDMI output; one Ethernet jack; one SIM card slot. 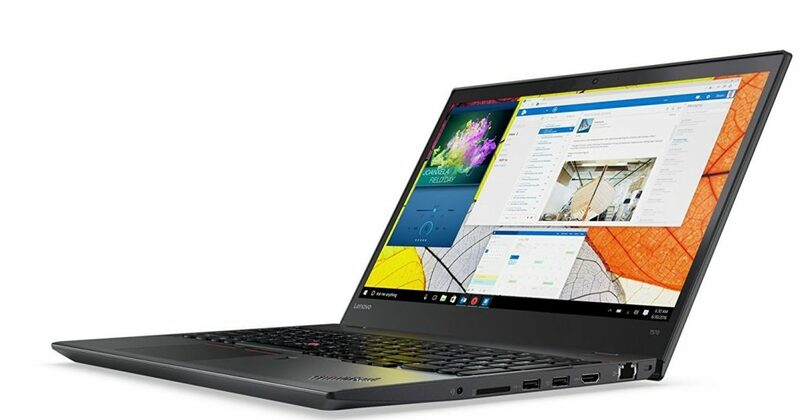 The Lenovo ThinkPad T470S is powered by an Intel Core i7 7600U processor clocking at a speed of 2.8 GHz. It runs on the Windows 10 Pro operating system. The RAM is 16 GB and the hard drive size is 512 GB SSD. This is combined with the Intel HD Graphics 620. It offers good security features with the TPM chip and vPro for maintenance. The touchpad is smooth with little friction. The TrackPoint, a pointing stick, offers accuracy while navigating. 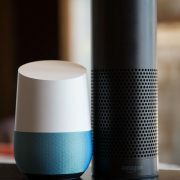 The speakers offer good sound. Battery life is decent enough, with 6 to 8 hours. 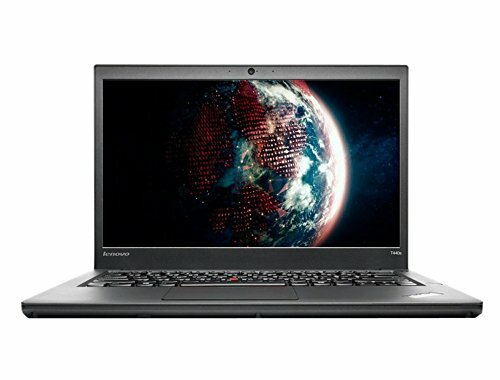 Lenovo offers a lot of utilities on the ThinkPad T470S. It also has a Companion app, which is useful for running updates and so on. Those looking for a compact laptop with a slender though sturdy frame. Those who want a sturdy laptop that can survive extreme temperature differences; humidity and vibrations. With 15.6-inch full HD display, this is one of the best laptops for writing that is available under $500 from Amazon. It packs inside powerful Intel i5 processor clocked at 2.8 GHz, 8GB RAM, 256GB Storage and most importantly the discrete GPU by NVIDIA. While writing is a fun in the sturdy keyboard of this laptop, you will similarly enjoy playing games in this gem. Running on Windows 10 the laptop has an excellent battery life that lasts for almost 6 hours. This is a very lightweight laptop weigh only 3.4 pounds which is just perfect for the writers who need to travel a lot with their laptop. Probably this is the best piece for journalists as the ability to connect with several Wi-Fi hotspot and access to Google apps is really helpful when it comes to sharing information with others on the go. The battery life is also appreciable as it can last up to 8 long hours with just one charge. 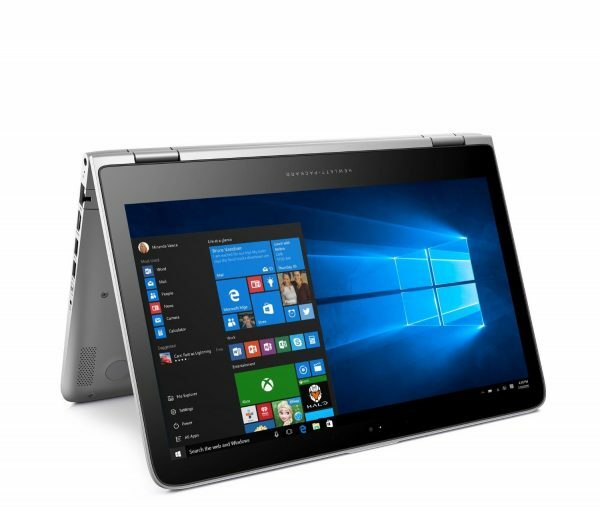 Lenovo Yoga 3 Pro is a perfect writers laptop that has Backlit Accutype keyboard to help you in easily writing books or any other things. Packed with powerful Intel Core M-5Y71 processor, 8GB RAM, 256GB storage this laptop provide powerful performance. The battery life is also amazing, up to 9 hours. The display too is good enough with 13.3-inch QHD and glossy multi-touch display. It runs on Windows 10 Home, so no question of an upgrade. Even though the price is a bit higher than other branded laptops, no doubt this piece from Lenovo is a good choice for the writers. 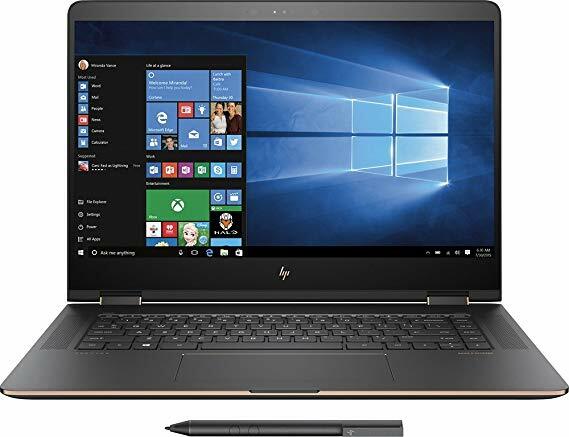 If your budget is under $500, this piece from HP would be the best choice that comes packed with all the needed features required by a writer. 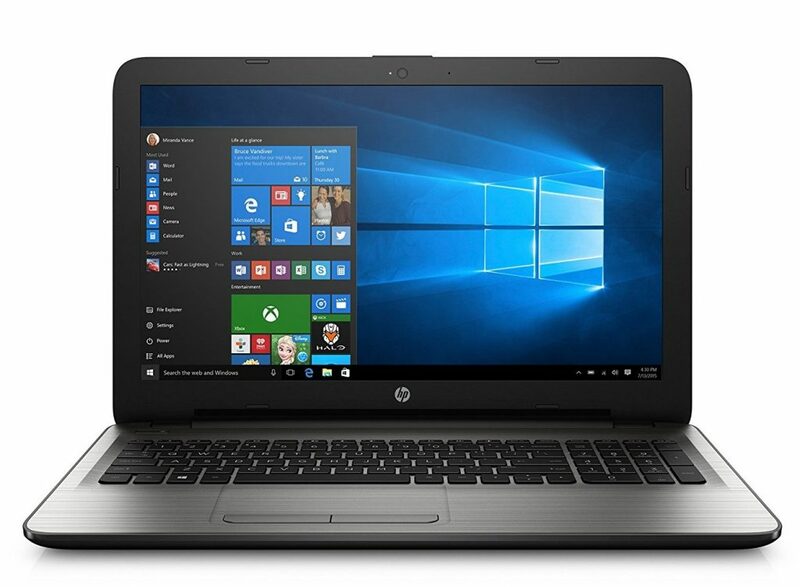 Enough space for palm area, Intel i5 processor, 8GB RAM, 1TB hard disk storage, excellent battery life up to 7 hours are great for such a cheap price. It runs on Windows 10 operating system and the integrated graphics card makes playing games a fun here. The display is big enough which is 15.6 inches. Probably the best laptop for writers and more prominently it is the perfect fit for the full-time writers. Whether it is about writing a novel or a book, loads of added excellent features make everything fun. 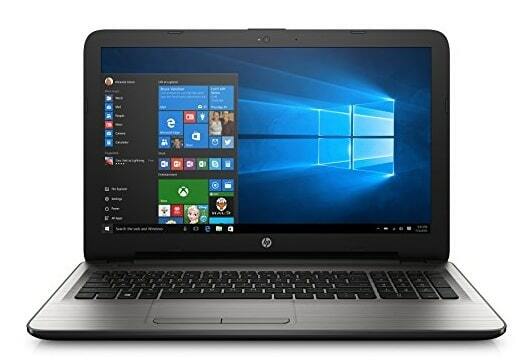 Intel Core i5 processor, 8GB RAM, 256GB storage, integrated graphics card, Windows 10 operating system are the specifications that help this gem to offer an excellent performance. 13.3 inch full HD display is very clear where you can enjoy every piece of video smoothly. The battery last for almost 7 hours. Weigh only 4.3 pounds this device from Samsung has a widespread keyboard which is just perfect for fast typing. It includes very useful software packs that help you manage your Android device on the web while you can easily transfer files and synchronize the to-do list with others in the team. One of the most expensive and extreme powerful laptops which is the latest innovation from Microsoft. It costs more than $1000, so only professional writers can look for this laptop for their writing job. All the features are extremely helpful while the backlit feature is helpful for typing. The battery life is almost 12 hours and the display is packed with the ultra-high definition so videos are highly enjoyable in this gem. 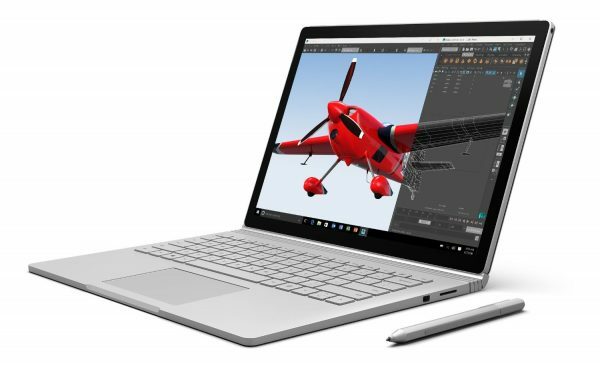 6 different versions are available of Surface Book, so you can choose to go for the one that is the best fit for you. This is really a great laptop that is just perfect for the writers. Its light weight makes it easy to carry everywhere and writers can use it on the go as well. High battery life around 11 hours ensures you can easily come out of the home without the charger and it will provide the needed juice. Standard spaced keypad makes typing easy and fast which is the primary requirement of any writer. Powerful processor, 8GB RAM, 128GB SSD storage and of course the long battery life make this one highly desirable. Also, this laptop can be converted into a tablet in need. 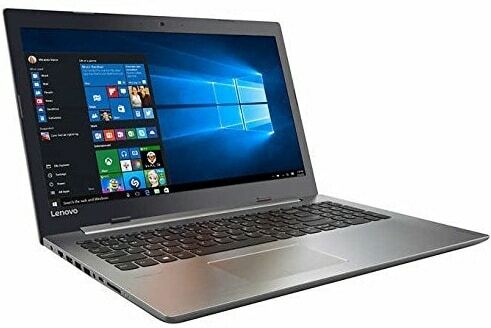 Another expensive laptop from Lenovo which is considered one of the best laptops for writing. Even though the price is high, the powerful performance will leave you splendid. Featured with a high-end i7-4600U processor clocked at 2.1 GHz, 8GB RAM, 256GB SSD storage, Windows 7, backlit keyboard, fingerprint reader etc. ensures that the laptop never lags in anything. The screen is pretty big, 14-inch full HD display with 1920×1080 resolutions. A spacious keyboard makes typing much easier. So, it would be a great choice for the writers if the budget is high. Another best laptop to add to the list of best laptop for writers that is packed with all the high-end features. Intel Core i5 processor clocked at 2.2 GHz, 4GB RAM, 128GB SSD storage are responsible for offering a powerful performance. The amazing design with all metal body made it a head-turn laptop having a 13.3-inc high-resolution display. But the most attractive feature is high battery life, yes it can last up to 15 hours. Whether you are a poet, a blogger or a fiction writer, you will have to digitize work and will need a laptop. Writers need screens that are bright and big and also easy to read. These are some of the best laptop options for writers, coming with excellent keyboards. The space between keys is important, so check out keyboard ergonomics while selecting a laptop for writing purposes. However, if you write a lot, it would be beneficial to go in for a separate, full keyboard. There are many lightweight USB keyboards available. You can also opt for a backlit keyboard for writing in low light conditions.